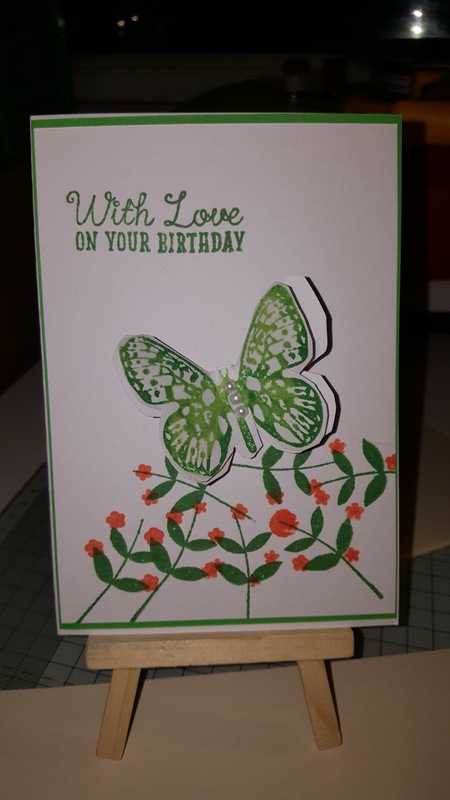 Good morning I made this card a it was a quick clean and easy card but looked effevtive when finished. My original was done in green and orange I changed the colour scheme for the video. 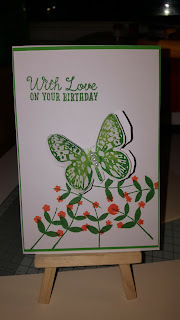 Hope it will inspire you to take a look at my process video on you tube at craftyalicreates.